Peter the Great literally changed the face of Russia after a trip to Europe. 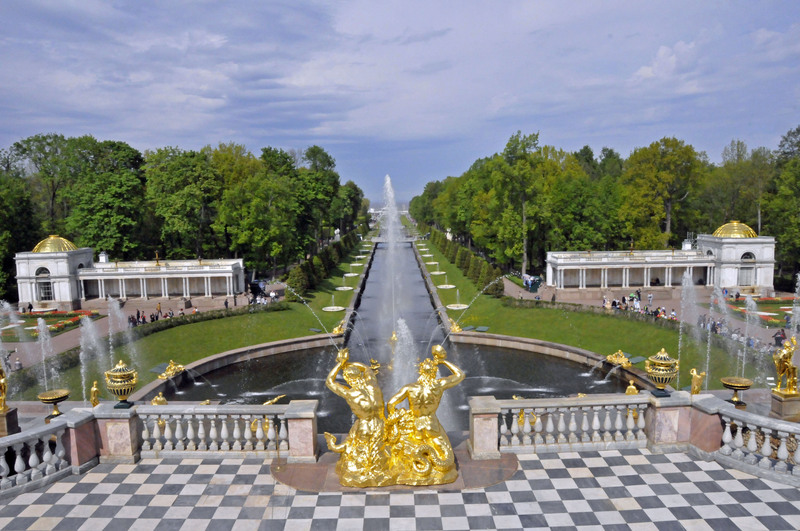 Peterhof, often called the “Russian Versailles,” is among the most impressive architectural results of that trip. Peter became tsar of a land-locked Russia in 1682, at age 10. In 1697, he undertook a “Grand Embassy” to European capitals, seeking support for Russia’s quarrels with the Ottoman Empire. 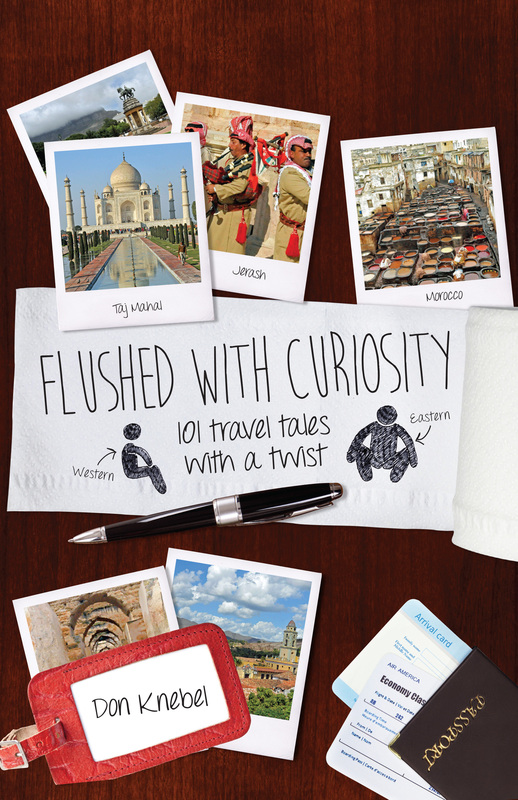 During 18 months in Europe, Peter acquired a penchant for Europe’s technology and traditions, including its clean shaven men. On Peter’s return, he ordered all Russian men to shave their beards or pay a stiff tax. To establish a sea route to Europe, Peter captured from Sweden a small town at the eastern end of the Gulf of Finland and built a new port city on that site beginning in 1703. The city, named “St. Petersburg” in honor of St. Peter, had a distinctively European look, with classical façades and broad canals. Peter made it the capital of Russia in 1712. Because the sea adjacent St. Petersburg was too shallow for a commercial harbor, Peter built his harbor on a captured island several miles west of the city. Peter then built a palace complex on a bluff 50 feet above the southern shore of the Gulf of Finland to be nearer his harbor in the summer. Named “Peterhof,” Dutch for “Peter’s Court,” the complex includes a unique collection of gardens and fountains. The “Grand Cascade,” incorporating 64 fountains between the palace and the sea, was inspired by a palace of Louis XIV. 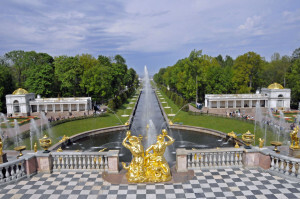 All water from Peterhof’s 144 fountains comes from local springs and sprays into the air without pumps. Peter the Great traveled by carriage to Peterhof through the countryside along the Gulf of Finland. Today, a hydrofoil makes the trip from St. Petersburg to the “Kingdom of Fountains” in about 45 minutes.